Beautiful Pin Light made with amber and white glass. 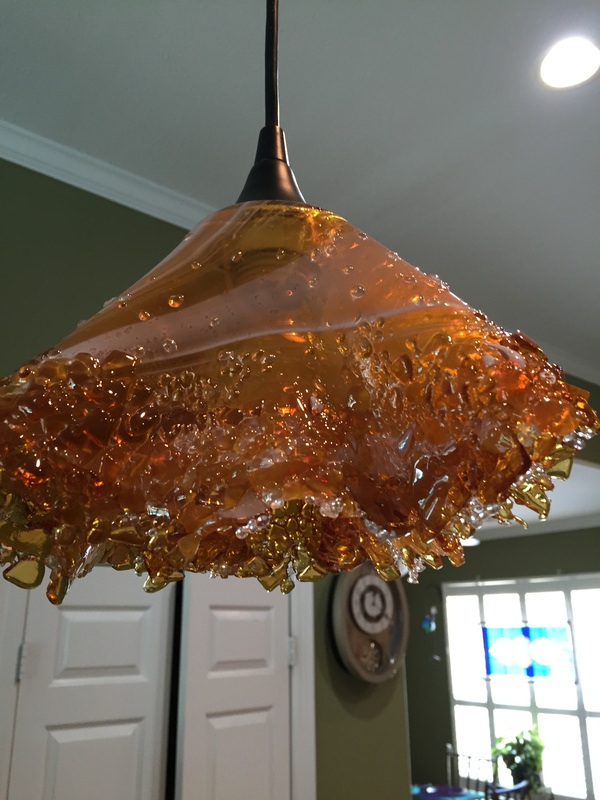 It has been fused and molded into the shape of a hanging pin light. Can also be used as lamps and vases. I have these in several colors. For more information please contact me at (713) 899-0933! This entry was posted on October 16, 2015 by alliekayglass. It was filed under Lamps, Warm Glass and was tagged with amber, Glass, Light, pin, white.